The Central Bank of Barbados was established in May 1972 by the Government of Barbados to advance the pace of economic development in the country. Today the Bank has become the premier financial institution in the country and its main policy is to formulate, in association with Government, monetary and fiscal policies to assist with the country’s economic development programme. 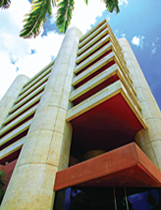 The functions of the Central Bank of Barbados include the promotion of a sound financial structure in Barbados. The Bank Supervision department is the regulatory arm of the Central Bank. It is staffed by 22 trained examiners. View documents relating to financial institutions, regulation and supervision issued for consultation and consideration.